The imam’s plea for peace in the wake of his son’s murder inspired Muslim youth to safeguard the homes of Hindu neighbours. We mounted the stairs of the tranquil 200-year-old Noorani mosque in West Bengal’s coal city of Asansol with trepidation. What could you say to a man who had just lost his 16-year-old son to a hate mob that would give him any kind of solace? The imam, Maulana Imdadullah Rashidi, was seated on a mat, his head bowed, composed. He held our hands by turn, accepting with grace our ineffectual words of sympathy. Rashidi’s father had migrated from Samastipur in Bihar to Asansol when he was only a child. 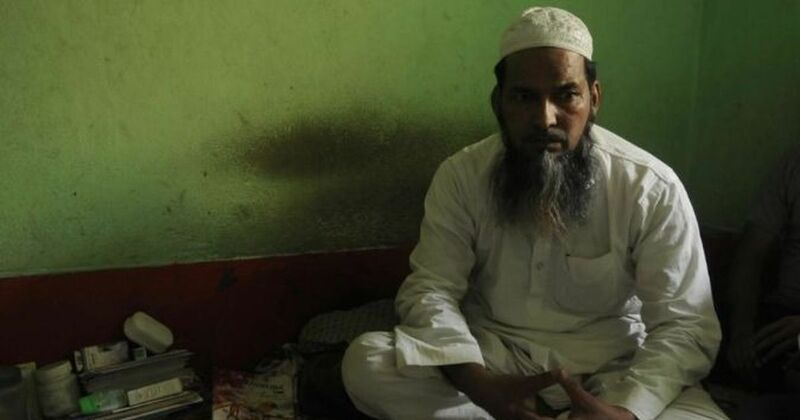 His father had served for much of his life as the imam of a mosque in a colliery near Asansol. Rashidi was appointed the imam of the Noorani mosque 30 years ago, and since then his life has circled around the mosque, as he leads its prayers five times every day and serves his community. His story is by now well-known. 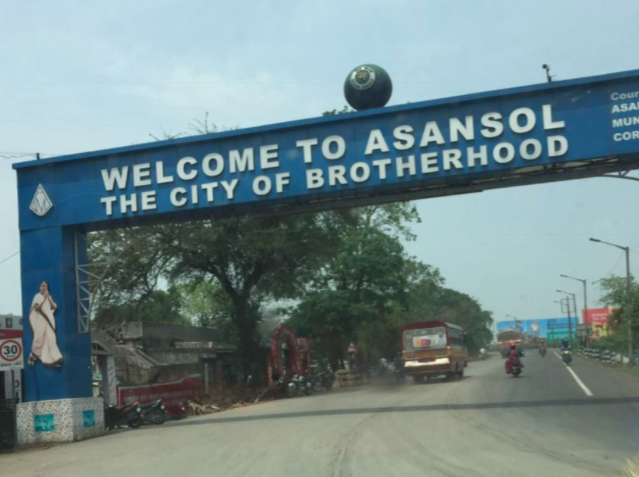 Asansol had not witnessed communal violence for 26 years. Never in the past was Ram Navami, the spring festival celebrating the birth of Lord Ram, an occasion for mass public festivities or processions in West Bengal. This changed over the past couple of years, when the Bharatiya Janata Party, its ideological parent the Rashtriya Swayamsevak Sangh and associated organisations converted the religious event into an occasion for the display of belligerent communal militancy, with an aggressive display of weapons and incendiary anti-Muslim sloganeering. In the days following Ram Navami on March 25 this year, processions were organised in various parts of the state, each time passing through Muslim colonies and mosques while playing loud music and shouting provocative slogans. The processions were of men with saffron bandanas, on foot or riding motorcycles and small trucks, displaying swords, and screaming feverishly – that Muslims will have to shout Jai Shri Ram or fall to the sword, and that there are only two fit destinations for a Muslim, Pakistan or a cemetery. It was a riot waiting to happen, a classic “manufactured riot”. The processionists were itching for a fight. It was not long before some hot-headed young Muslim men rose to the bait, enraged at the taunts and provocations. Their heated arguments rapidly deteriorated into fist-fights, and before long blood began to flow as mobs of young men set fire to shops and homes. The state administration and police cannot credibly explain why they allowed armed processions with loudspeakers spouting hate to pass through Muslim residential areas. Their complicity in allowing Asansol to burn is beyond question. Reports in Scroll.in confirm that the police arrived too late to control the riotous mobs. When they did arrive, they discharged teargas shells to disperse the crowds. People ran in panic in all directions. One among the fleeing crowds was Sibghatullah Rashidi, the fourth son of Imdadullah Rashidi. He had recently written his high school examinations and awaited his results. His father was proud that the boy had memorised the Quran and had been honoured with the title Hafiz. 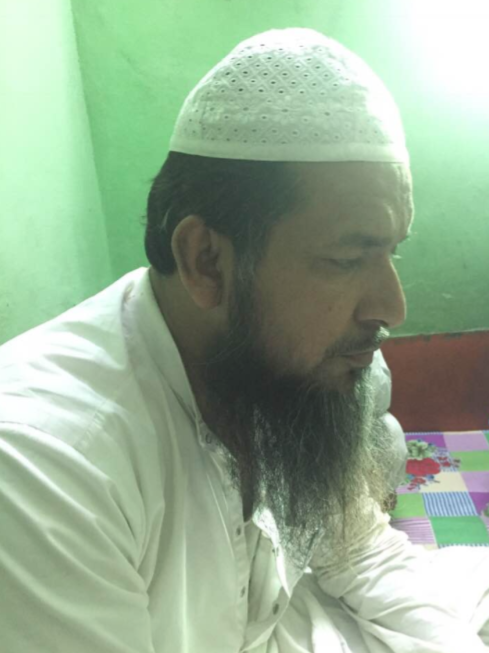 On the afternoon of March 27, Sibghatullah Rashidi was studying in his madrassa, which stood close to a Hindu settlement, when the rioting broke out. 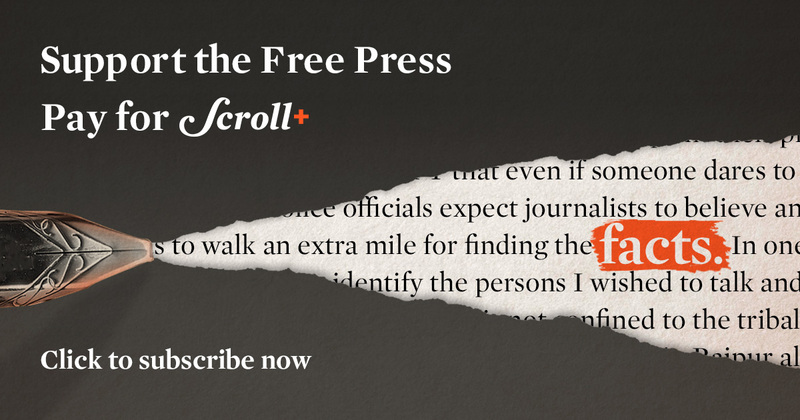 He rushed out in panic to return to the safety of his home, but in the melee and the teargas fog, he lost his bearings and ran instead into the Hindu colony. Desolate in the certainty that his young son had been killed, Imdadullah Rashidi sat in the mosque through that long dark night, alone with his memories, his torment and his prayers. Early the next morning, after the first azaan for the sunrise fazl namaaz rang out, the faithful gathered at the mosque. He broke the tragic news to them, that his son had been killed. He then made a plea that stunned each of them, “If you love me,” he said, “then I ask from you at this moment only one promise. That with your tongue or with your hand, none of you will cause any harm to any Hindu.” No eye was dry as they listened to his impassioned plea. The imam then reclaimed his boy’s body from the mortuary, and bathed it in preparation for the funeral. It was impossible for the father, composed so far, to hold back his tears. The boy’s nails had been pulled out, one eye smashed, his body full of stab wounds, and portions of his body burned. (I saw a photograph of the mutilated body of the boy taken before he was buried). Most of the young men of the Muslim settlement in the Shitla Dangal area around the Noorani mosque had grown from boys in half-pants to manhood before the imam’s eyes. He was there at every family celebration, and every occasion of mourning in their lives. They loved and respected him. Therefore, his counsel against revenge was like a flood of cool water over the fires that stirred in their breasts. The Hindustan Times reported that, inspired by the imam’s sermon, Muslim youth started guarding the shops and property of the few Hindu families who live near the Noorani mosque. Mehtab Alam, a resident who greatly reveres the imam, told the reporter, “After Sibghatullah’s body was found some youths got furious. But we calmed them down. 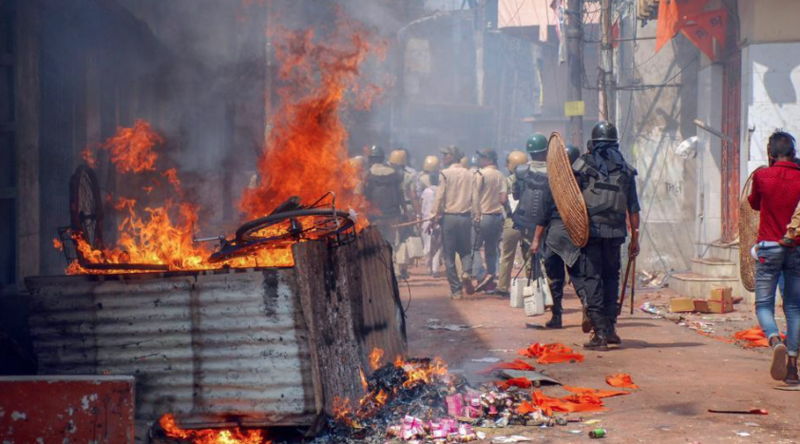 Not a single house, shop or the lone Shiva temple was attacked.” Another resident, Mohd Kalam, said Muslims were keeping a close watch on properties owned by Hindus so that no outsider can create fresh trouble. RK Verma, a jeweller, testified that his Muslim neighbours had protected his shop. “I was not in town when the riots took place. I got very scared because there was valuable jewellery inside. When I called up my neighbours assured me that everything would be safe,” he said to the reporter. As we drove through the city, we were struck by the profusion of triangular saffron flags wherever we turned, embossed with the slogan that has come to be associated with militant Hindutva – Jai Shri Ram. It was these flags that proved useful to rioting mobs in mixed settlements to identify Muslim homes, because these were the homes with no flags. We did not spot a single red flag anywhere. No political worker from either the ruling Trinamool Congress or the Left was visible, offering solace to the distraught victims, helping them rebuild their lives. “Once there was a Muslim Pir, a learned man who came from Orissa and settled in a small hamlet outside the then town Asansol. For all practical purposes he was also the local doctor and spiritual leader. Women, some Muslims but mostly Hindu, would send their ailing children to him to be blessed, sure their upset stomachs and sundry fevers would vanish. 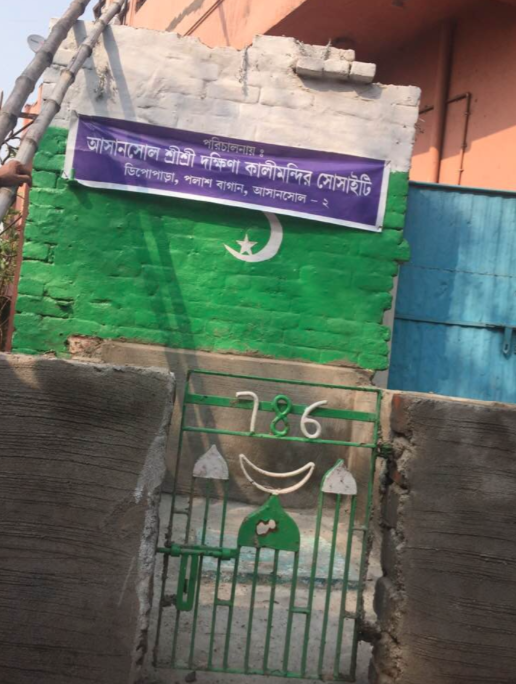 The old man built a small platform in memory of the grandsons of the Prophet, peace be upon him, on the road… His descendants live nearby, small shopkeepers and mechanics like Mohammad Ismail… During the March violence, raging mobs burned his shop and demolished the Pir’s platform at the Imambara Chowk. Moloy Majumdar told us that this was the only Muslim family that lived on their street. “We always thought of them as our own people,” he said. How many times, when they were children and sick, had their mothers sent them to the old pir, their grandfather, to seek his blessings for their good health? The day the city went up in flames, they guarded the imambara, their shop and their home. But at night, some miscreants broke down the small imambara, and set their motor repair garage aflame as well. Majumdar said he could have easily rebuilt the imambara with his own money. But he felt it would be more fitting if the Kali Mandir Society took this responsibility. He made this proposal to the other members of the temple society, and they accepted this unanimously. Ten days later, when we visited Asansol, the walls had been rebuilt, with a fresh coat of paint, and a sign of gratitude acknowledging the Kali Mandir Society. Many Muslim friends spoke to Majumdar about how touched they were by this gesture. To reciprocate, a Muslim businessman, Haji Nanhane Khan, decided to donate Rs 10,000 each to 12 Hindu shopkeepers whose shops were burnt down in the carnage. 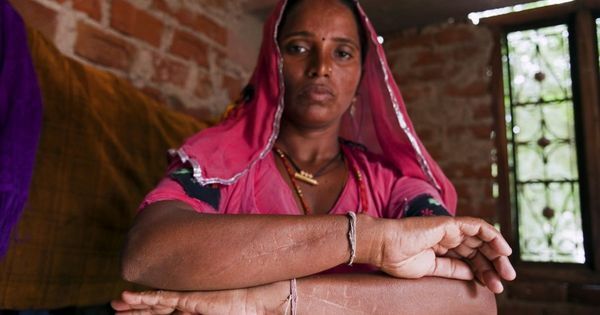 It is evident that there is something that the deluge of saffron flags, brandished naked weapons, hate slogans and a supine state administration has not been able to crush in this Bengali coal township. While parting with us, the imam said wistfully, “I think sometimes of the man who killed my son. I think maybe even his eyes filled up like yours when he heard of my words after my son died.” Maybe love was stirred even in his heart.